The Provost’s Office oversees several assessment units and activities that provide on-going opportunities to assess our progress on academic, financial, and institutional goals. 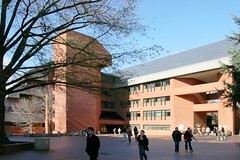 The Office of Assessment and Decision Support (OADS) provides leadership and coordination in data collection and analysis, institutional research and assessment in support of University planning, the continuous improvement of educational programs, and the achievement of University mission, goals, and objectives. Georgetown University is accredited by the Middle States Commission on Higher Education, which conducts a review every 10 years. The review is preceded by an extensive self-study produced by representatives from across the university. Our most recent self-study began in fall 2009 with the review conducted in 2012. On June 29, 2012, Georgetown received official notice from the Middle States Commission on Higher Education reaffirming the University’s accreditation.